Jeffrey Pinheiro, Regional VDC Manager at Turner Construction & Founder of “TheRevitKid.com” shares tips and tricks for conditioning the models using Assemble to visualize and communicate cost to the project team for preconstruction and construction workflows. Jeff sharse how to takeoff building systems and categorize them to significantly save time during takeoff and estimating. As one of the largest North American construction firms, Turner Construction is recognized for implementing innovative solutions and processes throughout the project lifecycle to deliver value to the owners. Watch this session to learn key elements that you can implement in your workflows with Assemble to improve project delivery and outcome. 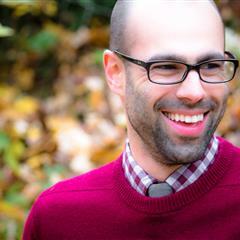 Jeffrey A. Pinheiro – Regional VDC Manager – Turner Construction – Jeffrey is a registered architect in the state of Connecticut and has 13 years of experience in varying roles throughout the industry. Jeffrey has designed and constructed an array of building types from small residential additions to multi-million dollar hospitals. Jeffrey began his professional career at the age of 16 working in a local architecture firm and continued gaining valuable experience at one of the largest architectural firms in the state. He is currently pushing the boundaries of VDC / BIM at Turner Construction Company as the New England Regional VDC Manager. Born in Bridgeport, Connecticut, Jeffrey holds a Master of Architecture and a Bachelor of Science (Architecture) from the University of Hartford. Additionally, he obtained associate degrees in Architecture and Construction Management from Norwalk Community College. Jeffrey is a leader in the industry when it comes to the use of BIM (Building Information Modeling) and technology. He has spoken and taught classes at national conferences and is the creator of The Revit Kid.com (a worldwide resource on all things Revit and BIM related).